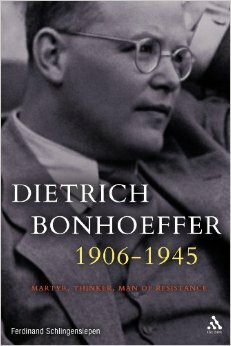 Dietrich Bonhoeffer wrote these words around 1944 while he was imprisoned by the Gestapo in Nazi Germany. He would later be executed as a traitor against the Nazi regime. How much is it the case today that the church is fighting for self-preservation as though it were an end in itself? Are we presently speaking a word of reconciliation to humanity? Is it still a time in which we must remain silent other than to pray and do right by our human brothers and sisters? What would it look like if we were to truly “do right to our human brothers and sisters?” Dear Lord, please show us how to be your church in 2017. I saw the movie Sully when it came out in the theatres and now with the relaxed pace of the Christmas season, I could watch it again with my wife, our daughter, and son-in-law. It is a well-directed movie about an incident in which a plane lands on the Hudson River in New York City. The pilot had just taken off from LaGuardia airport when they struck multiple Canada Geese in the air and lost both engines. Two engine loss was unprecedented at the time. 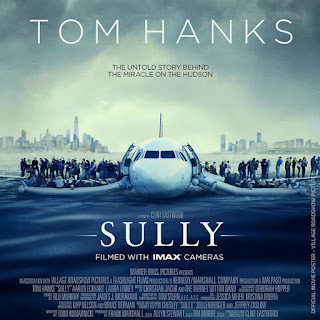 The movie follows the investigation into the crash and flashes back to the incidents that led up to the water-landing and the rescue of the 155 on board. All 155 were saved with only minor injuries, but the pilot, Captain Chesley “Sully” Sullenberger, was questioned because the aviation safety board was not convinced that the water-landing was the best option for the ill-fated flight. The officials questioned whether Sully should have tried a landing at LaGuardia or Teterboro airport in New Jersey. 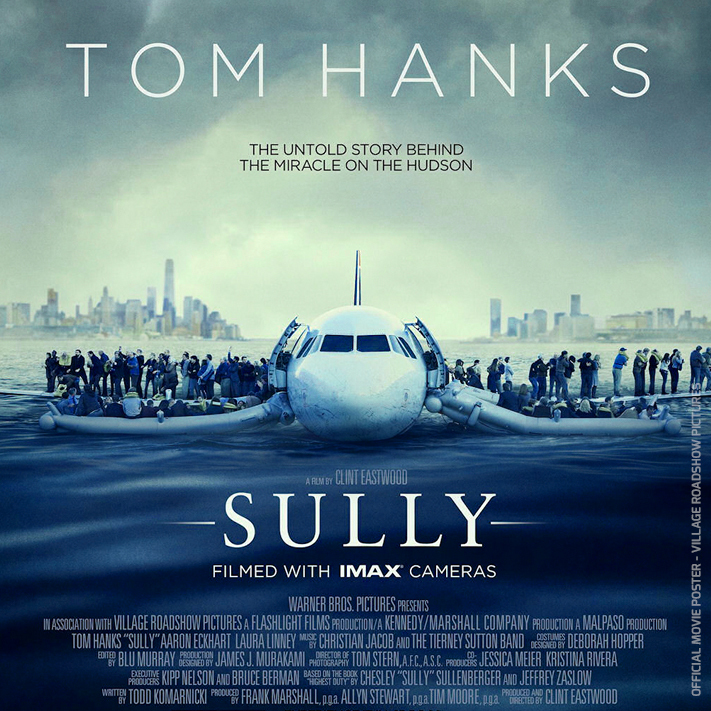 Sully is eventually exonerated and praised for his landing of the plane on the Hudson River. At one point in the movie, the woman member of the National Transportation Safety Board (TSB), Elizabeth Davis, praises Sully and says that he is the reason that 155 people are alive. Sully says, "I disagree, it was all of us." He recounts how together as a team, he, his co-pilot, the flight attendants, the passengers, the rescue workers, the ferry workers, and others had managed to work together to save 155 lives. It is an inspiring moment in the film in which the pilot, even after he had been vilified by some at the TSB, could point out the importance of teamwork. I wonder how well I would have done in similar circumstances in which I had been questioned and told that I had done something wrong. When I was finally absolved of any wrong-doing and instead praised, would I have had the presence of mind to tell others that it was a team effort? Or would I have taken all the praise for myself? In our better moments, most of us do recognize the team. We know that whatever accomplishments we achieve, we are standing on the shoulders of those who have gone before us and there are a great many people who help us to accomplish the things we do. Let us pray that, even in the difficult moments, we will always recognize the importance of the team. Higgs-Bosons, Up, Down, Charmed, and Strange Quarks, Anti-matter, Dark-Matter, and Light as both wave and particle - at one and the same time. These are the present realities of physics which even the public has come to accept as incomprehensible, but real. How can one begin to understand a universe that contains this many uncertainties, paradoxes, and seeming impossibilities? Yet, this is what our contemporary mind has been trained to do by the realities of our physical world. It did not start with Albert Einstein, but his descriptions of the Theory of Relativity did much to train the world to believe two contradictory truths at once. This is one of the hallmarks of our post-modern culture and this influences philosophy and theology as well as science. As Alistair McGrath puts it. The Bible speaks of the Creator God who is the same yesterday, today, and forever (Hebrews 13:8); the canon of the Bible has now been established for many centuries and will not be changed; but theology has and will change. Science, philosophy, and theology must change, as they are interpretations of experience. God remains the same, but humans have passed knowledge and experience from one generation to another, slowly building a base of wisdom and information that allows us to relate to our physical, philosophical, and theological world. Humans, as a collective, know much more about the universe today than we did prior to God’s Abrahamic covenant with his people. Humans are not the same people today as those who interacted with him in the Middle-East or African deserts of those times. So, the unchanging God has chosen to change the way in which he has interacted with humans. First, he chose a way to interact with those who lived in the days of Adam and others before the Abrahamic Covenant. The details of this interaction are sparse and hard to ascertain, but clearly different from his covenant with Abraham. Then, there are all those who lived under the covenant of Abraham, as described in Genesis 12:2 and 3. The next change that occurs within the way in which God interacts with his people is the Incarnation. In this covenant, God himself steps into history, biology, and physics, in the form of Jesus Christ, Immanuel. The Good News of the New Testament is the covenant between God and people who choose to follow Jesus, who is the Lord. As far as we know, this represents the last iteration of God’s interaction with his people, before the final judgement and the renewal of all in the definitive Kingdom of God. Again, I need to remind myself and my readers that this is not about God changing, the Bible changing, or the cultural perspective of humans changing. This is about the information, wisdom, and experience of humans that shape how God chooses to interact with his created beings. As humans grow, mature, and advance in technology, God chooses to interrelate to us in new ways. The previous discussion about how God has chosen to relate to humans may give us cause to pause in our desire to be completely and definitively correct in our assessments of anything in life. If science has the potential to discover new things that shape the way we view life, then theology and our understanding of the Bible can and will change as humans mature and change. We should not be too quick to decide that we have the last word on any given topic, theological or secular. Some new fact or feature may be discovered which requires an attenuation, correction, or confirmation of our assessment. In other words, on some given topic, we might be wrong. McGrath, A. E. (2007). Dawkins' God: Genes, Memes, and the Meaning of Life. Oxford: Blackwell Publishing. Alister McGrath, Dawkins’ God: Genes, Memes, and the Meaning of Life (Malden: Blackwell Publishing, 1998), 88. May 2017 be a year in which you find one or two additional mentors in your life. I would suggest that this would make 2017 your best year ever. Randy Stonehill - Turning 60?